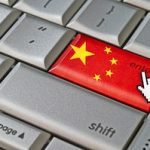 According to information from the press office of Xinjiang Uyghur Autonomous Region, to meet local people's demands for Internet, the region started to reopen 27 widely used and popular websites from February 6, 2010. These websites include China.com.cn, CRI.cn, CCTV.com, Chinadaily.com.cn, Youth.cn, Ce.cn, Chinanews.com.cn, CNTV.cn, Eol.cn, Univs.cn, Eastmoney.com, Hexun.com, Taobao.com, Alibaba.com, Ctrip.com, 17u.com, Rising.com.cn, Pconline.com.cn, 7k7k.com, 17173.com, Yoka.com, Chinatelecom.com.cn, Chinamobile.com, chinaunicom.com, Airchina.com.cn, Cs-air.com, and 12306.cn. At the same time, the forums of People.com.cn, the official website of People's Daily, and Xinhuanet.com, the official website of Xinhua News Agency, were also reopened. The press office of Xinjiang said they will continue to reopen the access to the Internet little by little. After the July 5, 2009, riots in Urumqi, Xinjiang Uyghur Autonomous Region's government implemented partial control over communications in this area, aiming to calm down the situation as soon as possible. Starting from December 29, 2009, the local government reopened the access to People.com.cn and Xinhuanet.com; on January 10, 2010, Sina.com and Sohu.com, two major Internet portals in China were also available for people in Xinjiang.